Welcome to my Weekly Gaming Blog! 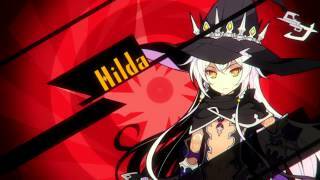 This week's coverage: Stella Glow and Pokemon Shuffle. Beginning this week, all gaming blogs will be consolidated into this blog. That means Pokemonday and my other game-specific blogs will no longer exist. This week's coverage: Stella Glow, Yo-Kai Watch, and Pokemon Shuffle. Flammenwerfer's Stella. I just made this as a tribute to his latest chapter, which you can read here. So, Flammenwerffer commissioned me for a soldier Stella. Here it is! I hope I get to add more detail later as I really like this $45 Commission. Hi! I'm some loser you read every now and then! Here's a blog! Aeon cracked open the door to Stella Nova’s office before stepping in. Half the lights had been shut off, drenching the area around Stella’s desk in darkness. She attempted to squint, spotting a figure seated on Stella’s silver disk, its’ edges illuminated only from the light of the stars behind it. However, Aeon didn’t need to see anything other than the outline to know who it was. From the clasped hands to the tired lean over the table, the posture was a dead giveaway. First things first, I know I'm two weeks late with The Hooffields and McColts, and a bit late with The Mane Attraction. Look, three things first off work alright, as I've said in the past I'm working now so I'll no doubt slip up more often than not.